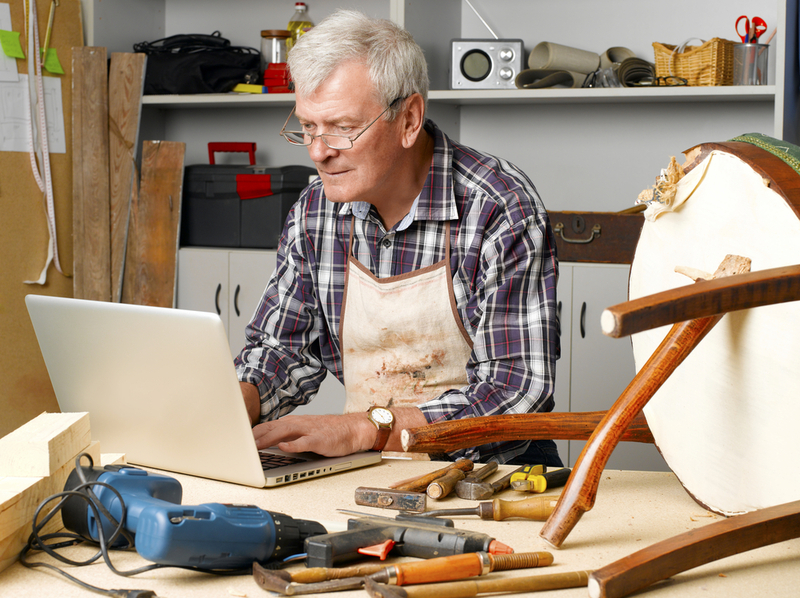 Should Retirees Turn Their Hobbies into Small Businesses? You’ve probably heard that it’s never been easier to start a business. Thanks to the World Wide Web, anyone with an Internet connection can find investors, distributors, purchasers, suppliers, and any other ingredients they need to create a legitimate operation. If you’re retired, though, this might be the furthest thing from your mind. You have nothing but R&R on your calendar, right? Well, as it turns out, many retirees quickly long for many of the benefits associated with a workday: extra income, a sense of purpose, pride in a job well done, etc. While there are many ways you could enjoy these perks, a common method is by turning a hobby into a business. Getting paid to enjoy your favorite pastime may seem like the best of both worlds. To be fair, many people earn an income doing exactly that. However, it’s not always so simple. Go through the following three questions before you trying to earn money from your hobby or you could end up making a costly mistake. 1. How Will I Make Money from What I Love to Do? This is probably the most obvious question you can ask, but it’s still an important one because there’s more to it than what you might realize at first glance. “I’ll sell X” is not a good enough answer. For example, if you like to do woodcarving, where will you sell your items? Enjoying your hobby is just half of the equation. The other half is finding a path to potential customers. 2. Do I Have Financial Needs That Must Be Met? Don’t sell the idea short. You can make a lot of money from hobbies. That said, if retirement hasn’t gone as planned and you need money right away, your hobby probably isn’t the place to start. Instead, your time would be much better spent finding at least a part-time job that would meet your financial needs. Of course, that’s no reason not to explore your opportunities in your free time. Just don’t squander the majority of your day if you’ll soon be facing financial hardships without some type of income. 3. Will Financial Gain Ruin My Love for This Activity? Again, making money doing what you love might seem amazing, but that’s not always the case. Some people find that treating their favorite pastimes as obligations ruins their enjoyment of them. Depending on the way in which you plan on profiting from your passion, you may suddenly face deadlines that don’t mesh well with the leisurely pace you used to keep. Other responsibilities may creep in, too. You might have to pack your items and ship them, respond to customer emails, handle your own books, etc. If you’re simply looking for a little help with retirement, Mooney Lyons has the knowledge and experience you need. On the other hand, if you’re genuinely interested in turning your hobby into a business, our team of experts can help with that transition, too. Either way, contact us today to learn about all the ways Mooney Lyons can provide valuable assistance with your finances. Content in this material is for general information only and not intended to provide specific advice or recommendations for any individuals.